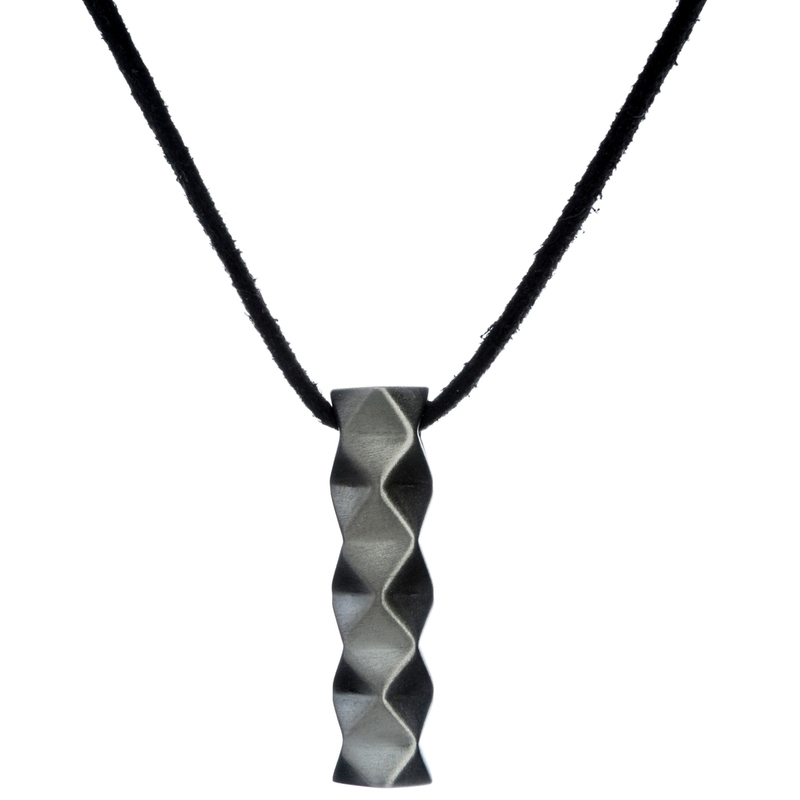 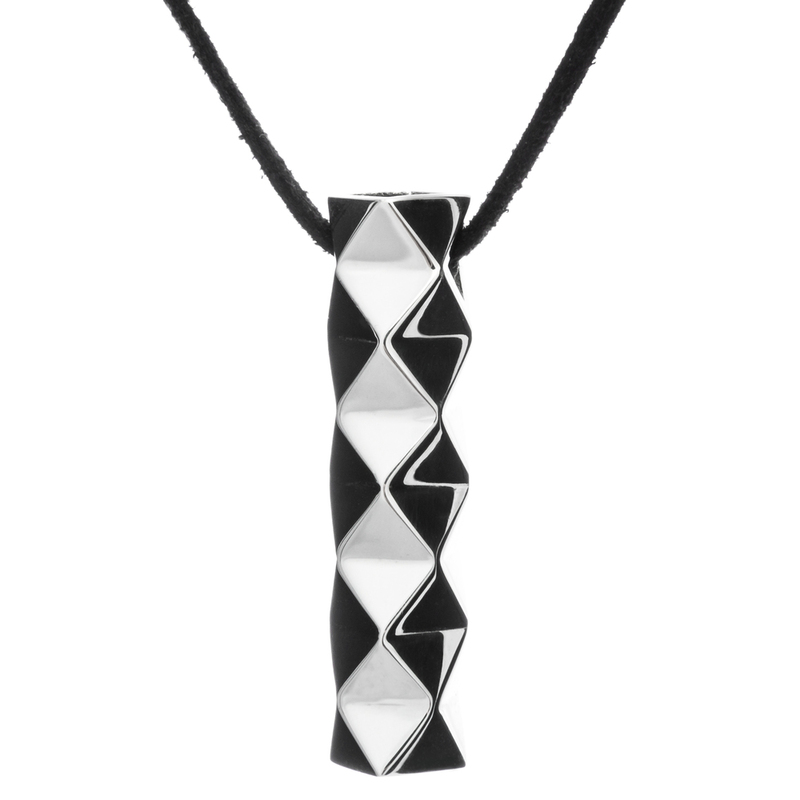 Cast in 925 sterling silver, the Eminent Pendant is available in two sizes. 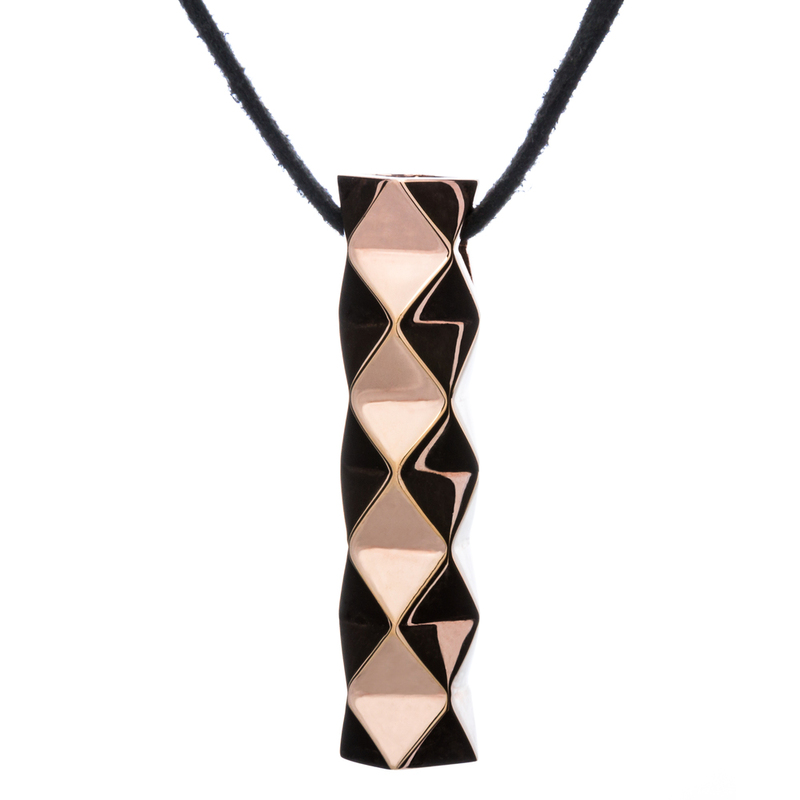 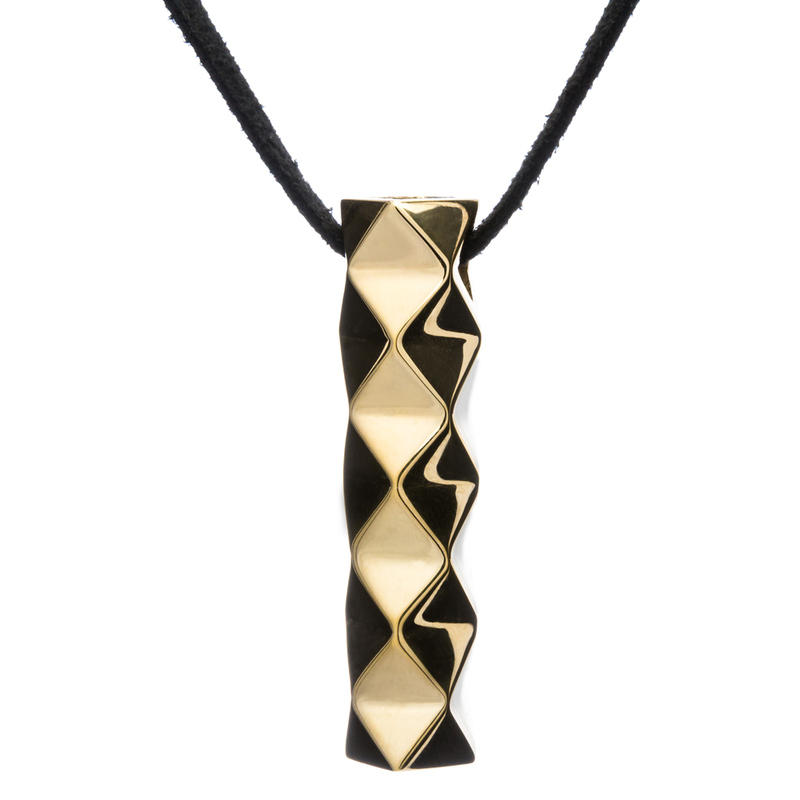 A beautiful column of origami-inspired construction, this piece brings together traditional jewellery making craft with the famous paper art. 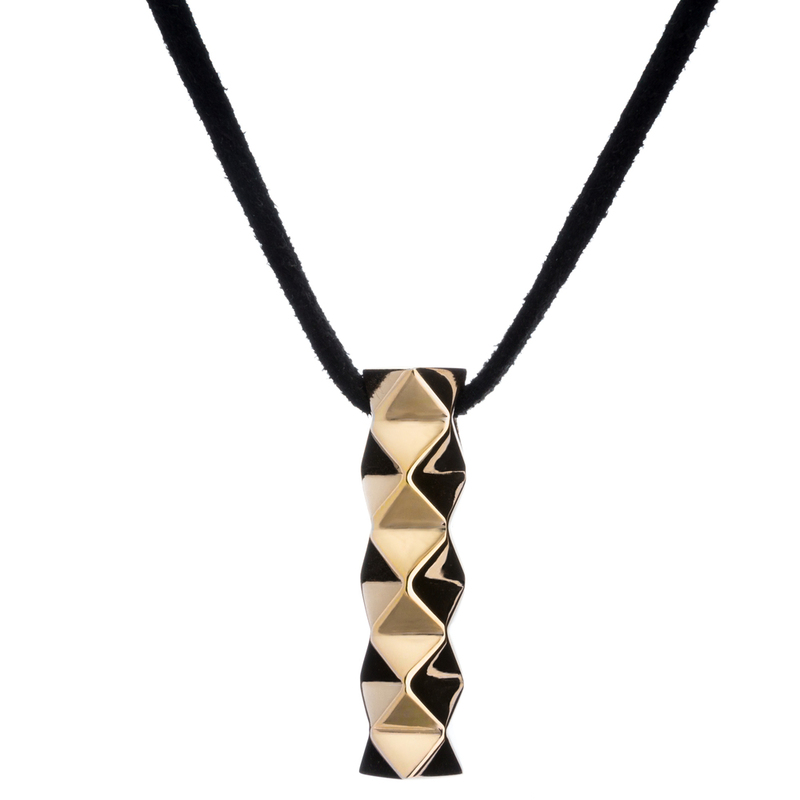 Chain: Black suede leather cord with sterling silver caps. 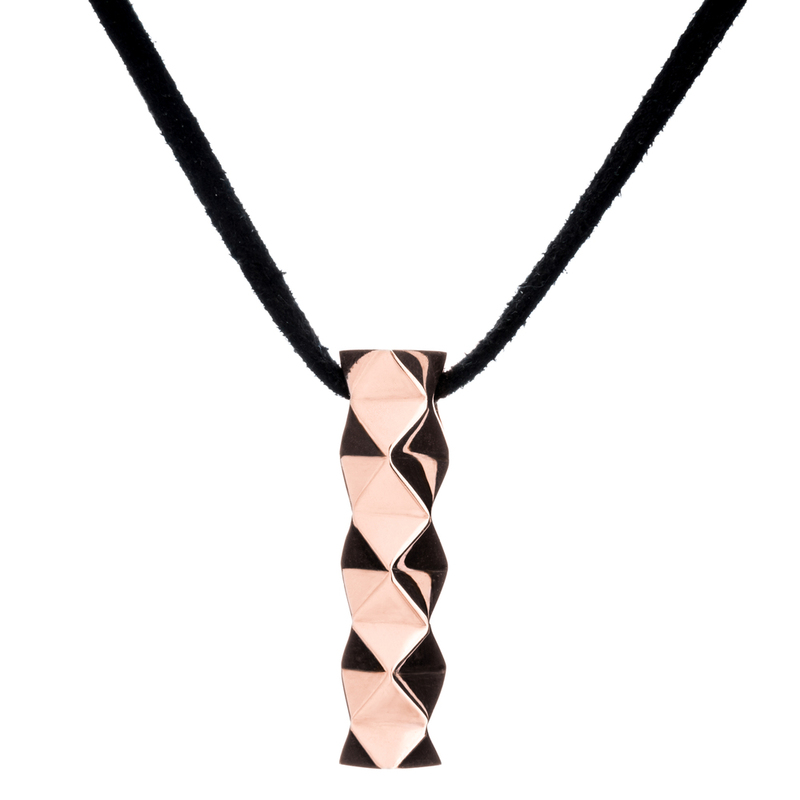 A matching silver, gold, rose gold or oxidised-silver close-trace chain is available.